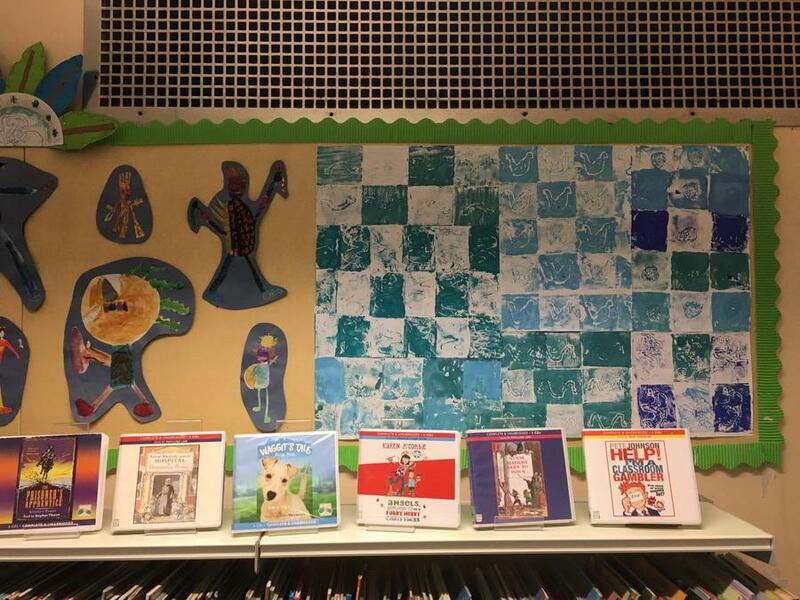 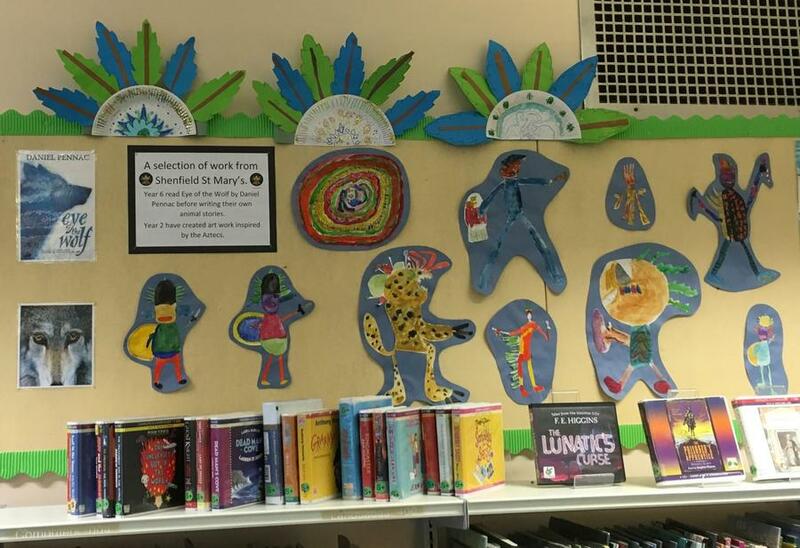 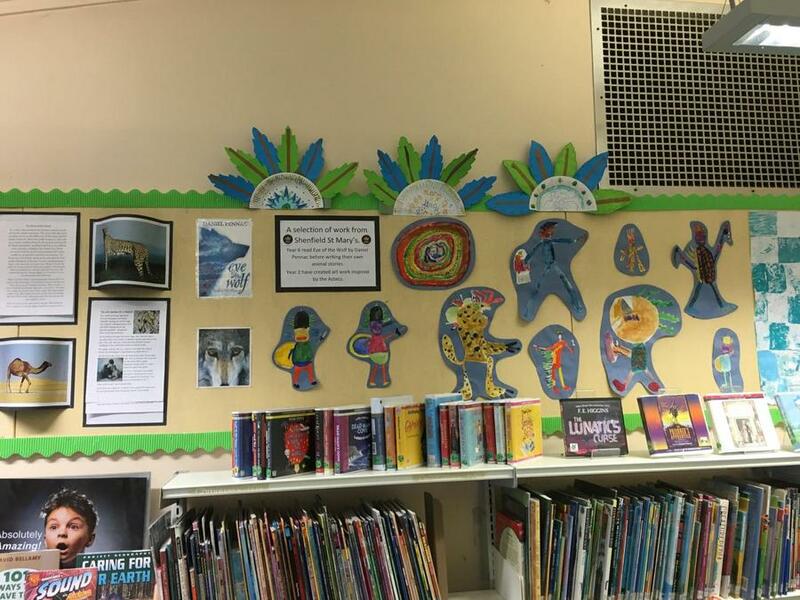 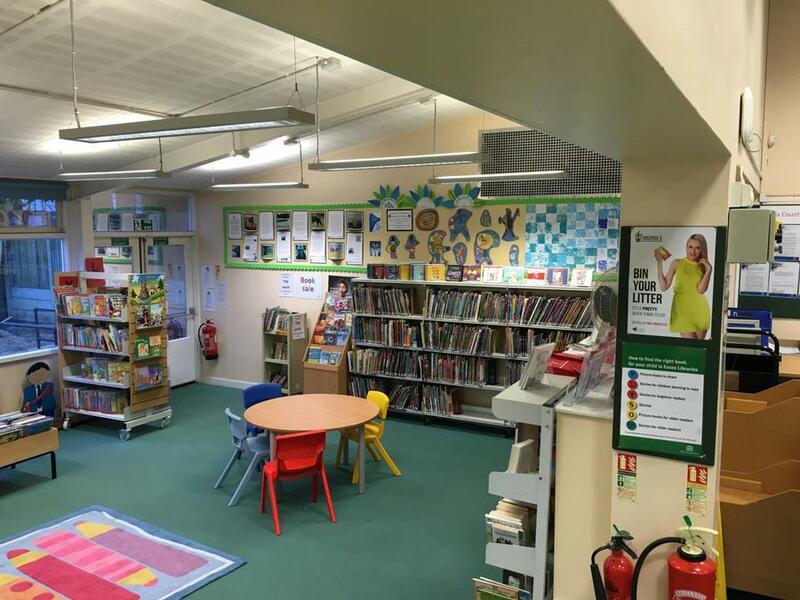 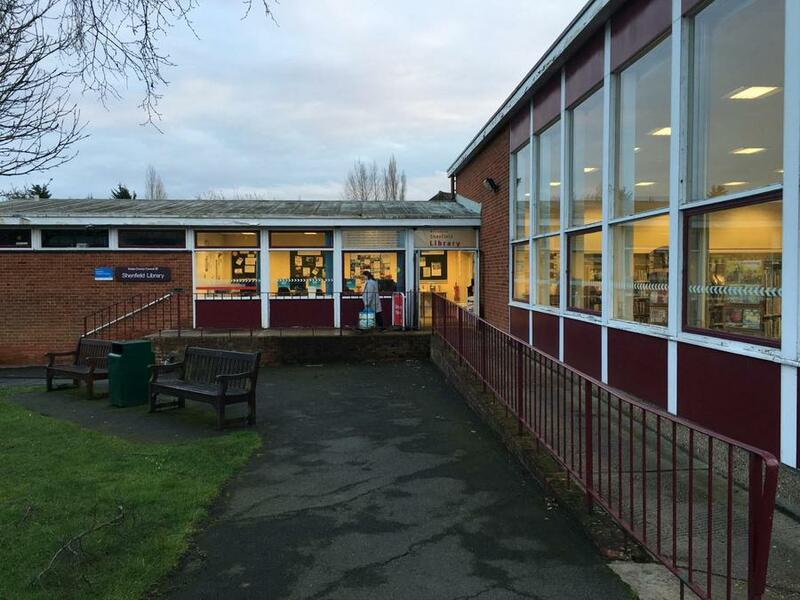 Shenfield library has a selection of our work on display. 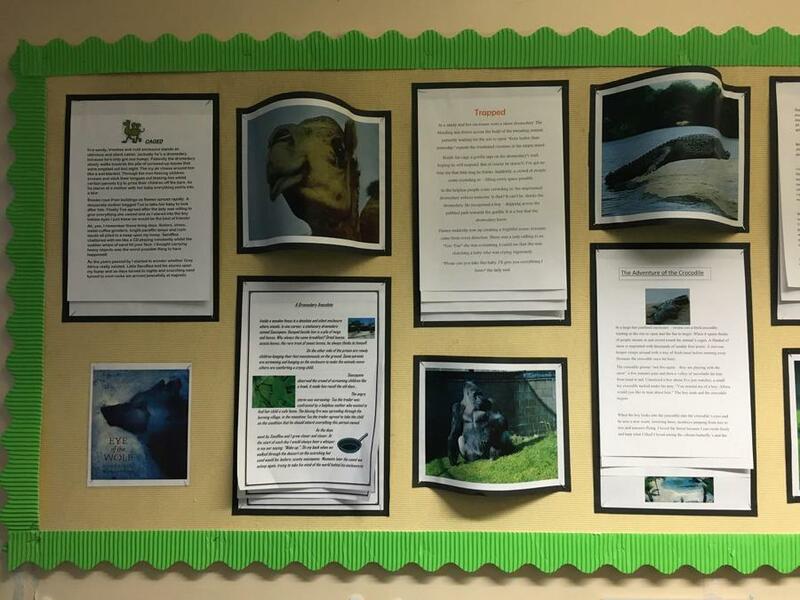 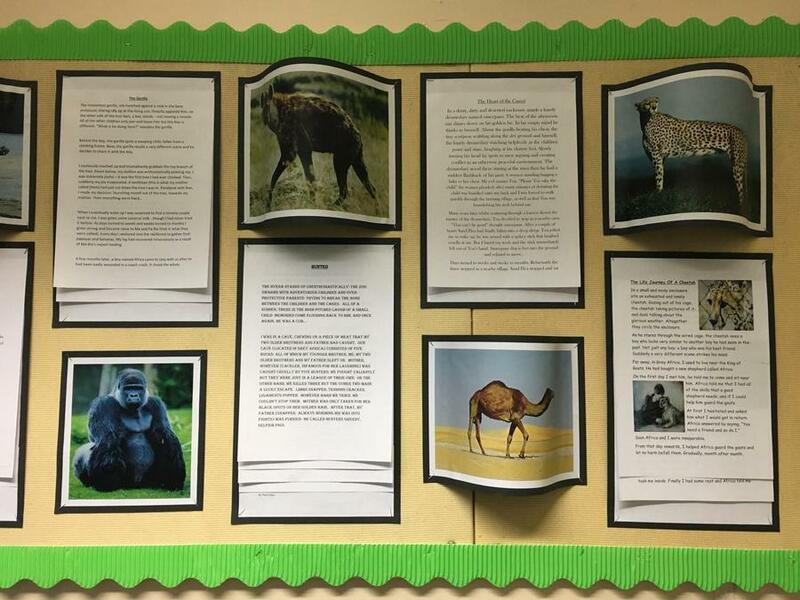 Year 6 read 'Eye of the Wolf' by Daniel Pennac before writing their own animal stories. 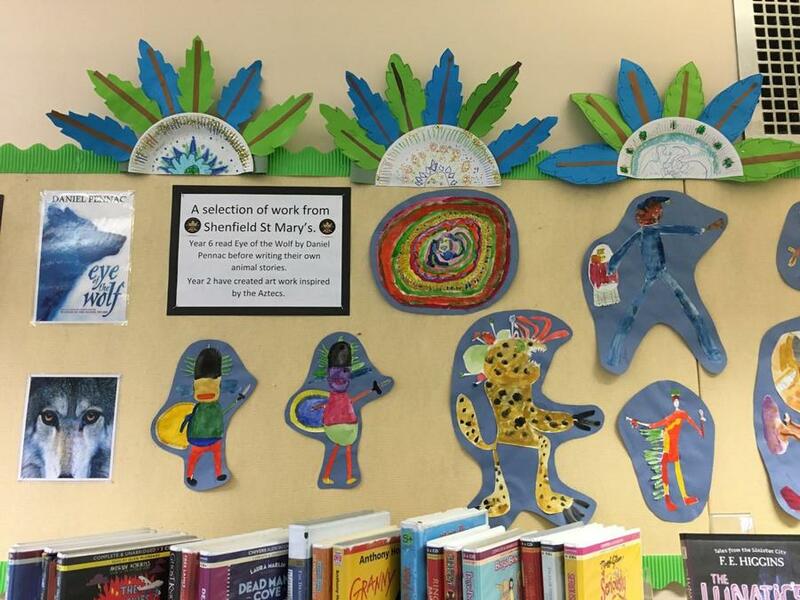 Year 2 have created art work inspired by the Aztecs.